In the early 1900s, St John's Way passed through what was still a fairly open rural space. It was therefore an ideal place to build a large workhouse: a place for the poor, physically and mentally disabled, and morally 'destitute' - the latter often a euphemism for single mothers - to be cared for and housed, in exchange for work on the premises. The main building, stretching along at least half of the road, was large enough to not only serve the local parish of St Mary's, but the borough as a whole, and was set up by the Board of Guardians - local dignitaries and church personnel. The institution had its own infirmary and chapel in its grounds. There was enough open land in the surrounding area for other institutions - such as the Aged Pilgrims Asylum (now Hillside Park, Hillside Estate, and Louise White House) and the Alexandra Orphanage (now Welby, Goldie and Ritchie council blocks). The Whittington College almshouses were where Miranda Estate now stands. The well-known Elthorne Road, which gives the Elthorne Estate and the Elthorne Community Project their names, originally ran almost as far down the site which is now Elthorne Park. It was originally called Redcap Lane - The Mother Redcap public house still stands on the Holloway Road - and, being named after a bird, betrays the area's original rural village character. Despite good examples of 18th and early 19th century village housing still in Hornsey Lane, Mulkern Road and Calverly Grove, we are mostly familiar with the Victorian houses, many of which still exist, when the area we know today developed most rapidly with industrialisation from the mid 19th onwards. Both Warltersville and Hazellville Roads were named, rather unimaginatively, after the two builders who constructed them. Mid and post-war in the mid 1940's there was a sense of new moral purpose, beyond the traditional philanthropic tradition of the old workhouse which had had no intention of reforming conditions for the local community. This new moral purpose focused on tackling the inherent poverty of north Islington and the appallingly low standard of living of its inhabitants. 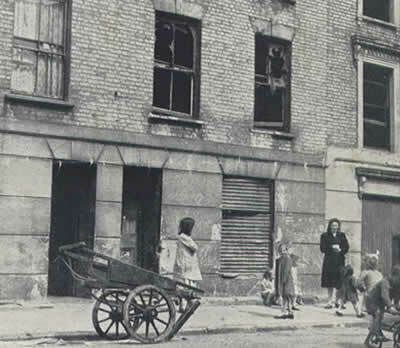 The Caxton House Settlement was one example of the 1940's response to local moral poverty, more than financial poverty, and low morale. Slum conditions and overcrowding was breeding a cycle of what was seen as morally and educationally impoverished people. The belief was that these people needed to be taught, by example, how to lead 'decent' lives, for their own good and the good of the nation, with the knock-on effect of a modest improvement to the environment around them, albeit on a small scale - it was felt ordinary people would make more effort to keep their environment cleaner and tidier if they were happier. It was common knowledge that extensive reconstruction would happen eventually, but the Settlement was an interim and social measure to improve peoples' lives. greater lengths to preserve heritage and original community spirit. its sister estates - were built. 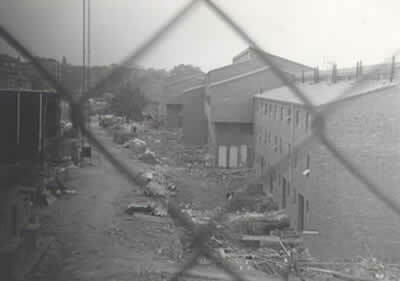 The demolition of the workhouse in 1970 by the Greater London Council (GLC) was to make way for Caxton House Community Centre, to replace the old Caxton House Settlement of Andover Road, with more social housing next to it and a small adjoining public park. The Caxton Community Centre building, completed in 1976, evolved from the old Settlement, was now firmly led by local people, not the council or the Church. Moreover, local people have more say over local planning. It stands at 129 St John's Way and constituted itself an independent charity in 1976. Caxton House Community Centre, then, has its roots in the Caxton Settlement Movement, and does its best to help local residents, particularly those living in social housing in the area try to manage their environment and community through ongoing committees, groups and other initiatives. The N19 area has an even longer tradition, however, of providing help to the poor and needy, not just to inhabitants in the immediate area, but also to the whole of Islington. Today, as the standard of living is undeniably much higher, ordinary people can work together for continued self-empowerment. We may have lost many of our Victorian terraces on the south side of St Johns Way - particularly to the less aesthetically pleasing buildings of the 1960s, but there is far greater public involvement with the future of our environment, our schools, and local health and social care facilities than ever before with constant consultation. With the redevelopment of the Archway area the N19 area is positioned for a positive future. Resources: Caxton House website; Local History Education Trust contribution to Elthorne Community News, 2003; English Heritage Report, Paper 8 by Susie Barton 1999; 'Our Street' pamphlet, on behalf of Caxton Settlement, 1952. London County Council took over the workhouse building in 1930, turning into an old peoples' home called Hillside, and dispersing its other existing inhabitants to other appropriate institutions. The building was only actually demolished in 1970. All that remains of the original workhouse today is the Eastgate wing, which most locals will recognise as the Roger Casement Irish Centre, now redeveloped as private flats. Social workers and wardens from both local government and church employees lived in the community - in the case of north Islington in an existing residential house, 112 Fonthill Road in the N7 area. 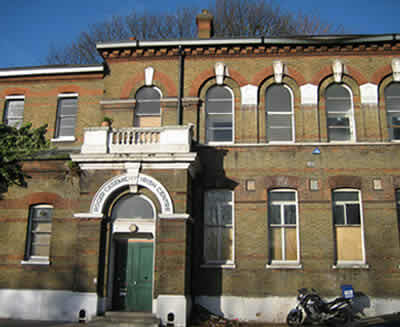 The old Presbyterian Hall at 59 Andover Road was used as a clubhouse, from which activities such as youth clubs, mothers' societies, and the Darby and Joan club for senior citizens were run. Despite this still rather patronising set-up by local council, associated dignitaries and church people, local inhabitants themselves were thoroughly involved in leading some of the social clubs and Caxton House Council, decorated the clubhouse, and helped with fundraising. The aim of the Caxton House Council was for the Caxton House Settlement to become totally independent from Islington council and self-supporting.